The Battle of the Atlantic lasted almost the entirety of the Second World War. The Battle of the Atlantic lasted almost the entirety of the Second World War. It started when the United Kingdom and France declared war on Nazi Germany in 1939 and it didn't end until Nazi Germany surrendered. Even then, some U-boats refused to give up the fight with their nation — a maritime version of Japanese holdouts. It's hard to really comprehend this battle, both due to the length of the campaign (almost six years of fighting) and the massive scope. Forces clashed the world over, from the North Cape to Montevideo. But between these battles, it was sheer drudgery — long moments of boredom, punctuated by a submarine attack or air raid that would never make headlines. Despite the languid pace, the Battle of the Atlantic was of paramount importance. Without winning the Battle of the Atlantic, the Allies could never have pulled off the Normandy invasion, much less force the surrender of Nazi Germany. It was all about securing the lines of communication between the United States and the Allied forces in Europe and the Mediterranean. 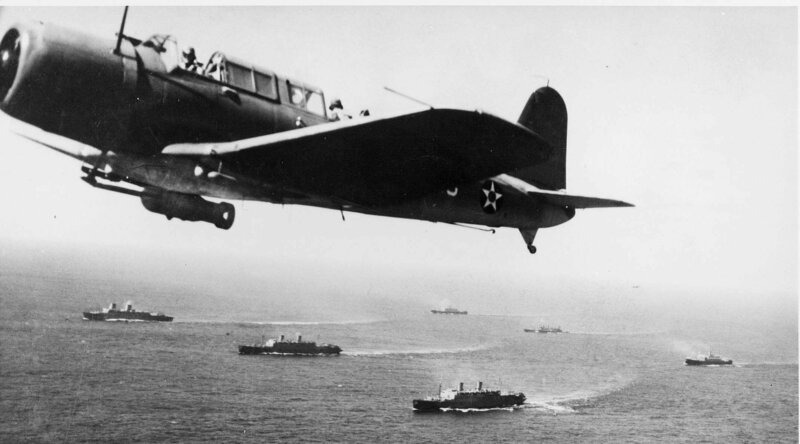 A Vought SB2U flies over a convoy carrying troops and supplies to the front. Merriam-Webster defines a line of communication as "the net of land, water, and air routes connecting a field of action (as a military front) with its bases of operations and supplies." In the case of the Battle of the Atlantic, the major focus was on keeping waterways open. This was the only way to transport the many tanks and planes needed to win the war, not to mention the supplies for ground troops. 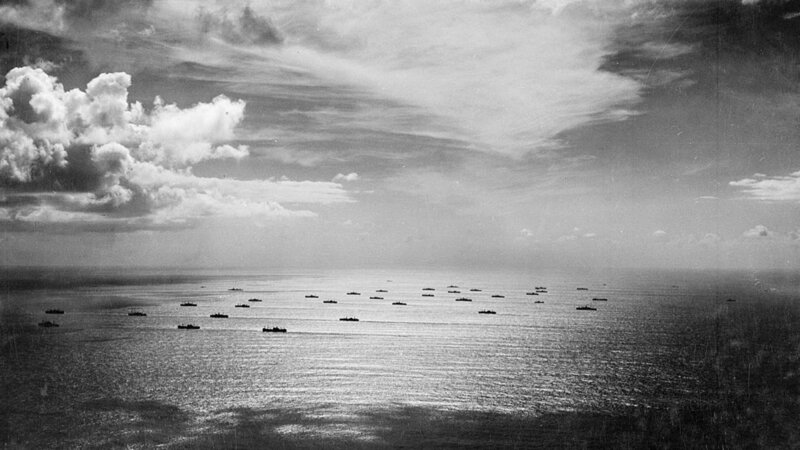 In fact, sea transport still matters today because it's the most convenient way to move a major force to the front. A convoy heads towards Casablanca, one of the locations where troops hit the beach during Operation Torch. Of course, the Allies succeeded in securing those lines of communication and won World War II.